Reporting on the EA's 2017/18 accounts, Mr Donnelly said that paying for SEN support was the main reason for the body going over-budget. The EA had overspent its SEN budget by £12.7m and its school meals budget by £2.4m. The introduction of the apprenticeship levy had also cost the EA £5.3m, but its total overspend was reduced by a £2.8m underspend in some other areas. As a result, it had spent £1,851m on services to schools in 2017/18, despite receiving £1,833.5m from the Department for Education (DE) for that purpose. However, the EA's overspend of £17.6m on school services was reduced slightly overall as it spent £1m less on student and further education support than it had been allocated by the Department for the Economy. The NIAO report also revealed that a complete 2017/18 budget plan was only agreed between the EA and DE in January 2018, nine months into the financial year. In response, the EA said that the issues which led it to go over-budget in 2016/17 had persisted in 2017/18. "The EA stated that as budget allocations have essentially remained cash flat, it was unable to absorb in-year pay and price inflationary pressures and increased demand pressures," said the NIAO. The EA added that it had made £31m of savings last year. A previous NIAO report into education criticised the aspects of support for children with SEN. The spending watchdog has also reported that the budget for schools has reduced by 10% in real terms in recent years. 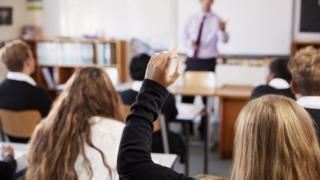 The EA has previously said that an increasing number of schools in Northern Ireland are in budget deficit.